In recent years, there has been a growing movement to incorporate innovative Low Impact Development (LID) elements into development projects. These LID techniques limit impacts to the environment and decrease construction and maintenance costs. 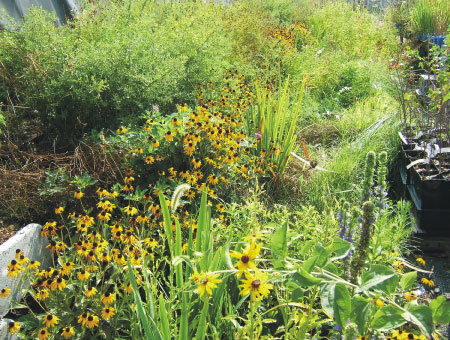 Some of these methods include bioretention, rain gardens, infiltration trenches, filter/buffer strips, dry wells, and vegetated swales. Development costs are reduced through the elimination or reduction of conventional stormwater infrastructure costs. Additionally, by treating water near its source instead of using end-of-the-pipe solutions, Low Impact Development techniques can decrease the amount of pavement as well as curb and gutter structures included in a project, all lowering construction and impact fee costs. By including LID techniques, developers can also increase the marketability of their subdivisions as more and more people desire to live in more natural settings. Developers are not the only ones to benefit from LID solutions; municipalities also decrease the amount of maintenance costs at their stormwater and wastewater facilities. LID techniques decrease the amount of surface runoff, thus minimizing erosion in nearby streams as well as limiting the transportation of pollutants and nutrients downstream. Additionally, the preservation of open space and the protection of sensitive wetlands and waterways provides obvious ecological advantages when compared to conventional stormwater and wastewater systems.